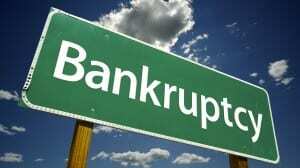 When you file for Chapter 7 bankruptcy, a Chapter 7 trustee is appointed to administer your case. A trustee basically controls the assets that you owned at the time of bankruptcy. This control can involve anything from selling your house to selling your car or personal property. Essentially, the trustee’s job is to turn your property into cash and then settle your debts for you. Important note: the trustee does not work for your best interests and sometimes the trustee will make you sell your house even if you really don’t want to sell your house! However, in order to file for bankruptcy, you agree to cooperate with the trustee, so it’s a necessary process if you want to resolve your debt. This is where you can make use of claimed exemptions or other strategies to minimize the risk of being forced to sell off a valuable asset. It should be noted that a trustee is a not a judge and can’t force you to do anything. They can ask a judge to force you to take an action so this is where having solid legal representation can really help you. A good bankruptcy attorney will prepare you for a brief hearing called the meeting of creditors, which basically is a small meeting with the trustee to discuss your case and what assets are at risk. If you’re well prepared, you can minimize the impact upon your assets and come through the process with a Fresh Start on your financial life. For more information, check out our full page on Chapter 7 Trustees.